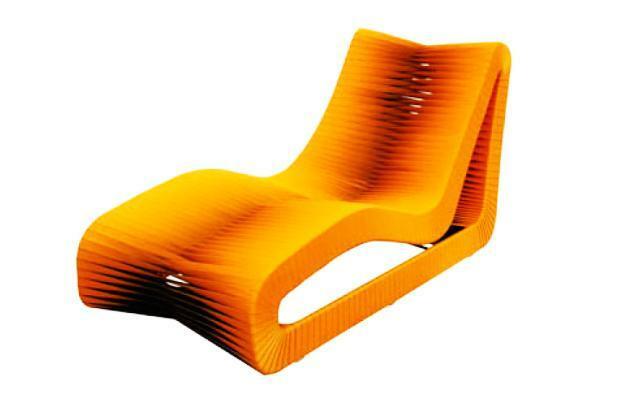 Safety belts, nylon webbing, and waistband fabrics are unusual furniture design materials. If you are tired of looking at your old home furnishings or have broken pieces, check out these creative ways to revamp them and make new pieces. 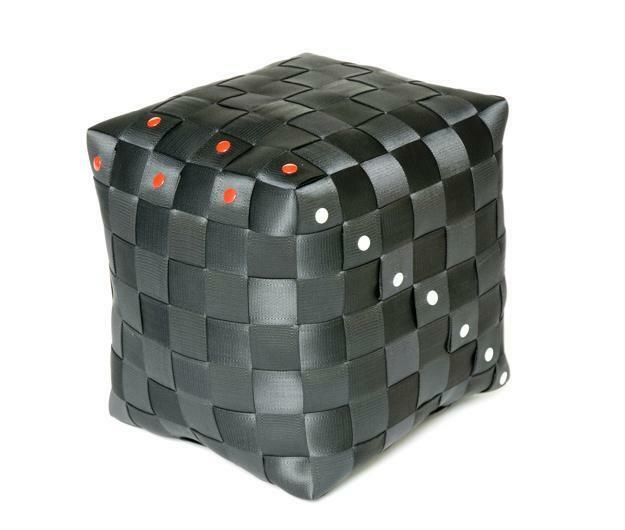 Safety belts, durable webbing, and waistband fabrics are perfect for creating ottomans, seats, and modern tables. 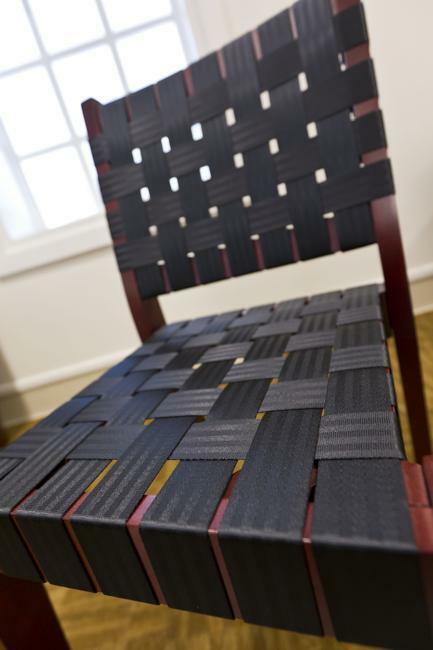 Lushome shares a collection of unique furniture design ideas using sturdy straps. You can reuse and recycle old furniture frames or design new ones for handmade furniture. 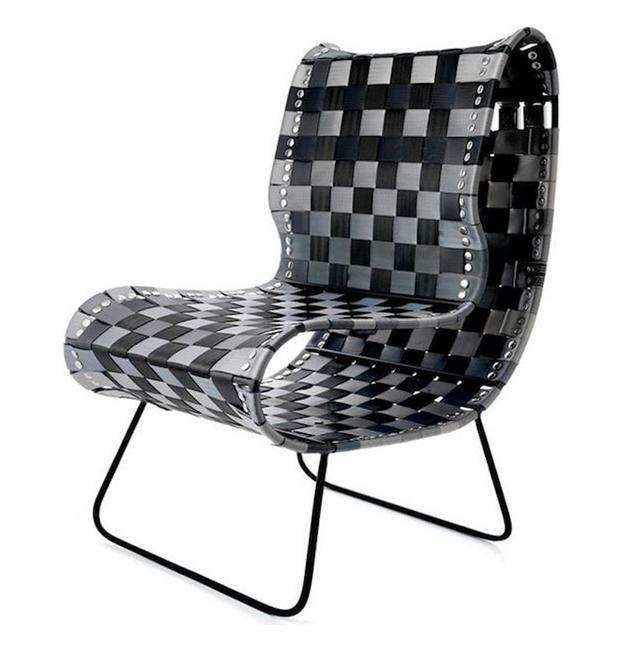 Wide straps of durable nylon or manmade fabric stripes give handmade furniture pieces an original and innovative look. 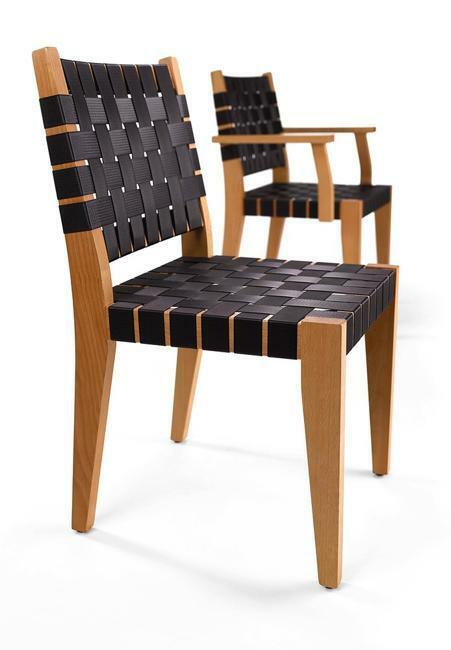 Recycling fabric pieces, webbing, seat belts, and leather belts is a smart alternative for repairing furniture and creating unique items. It saves money and helps protect the environment. 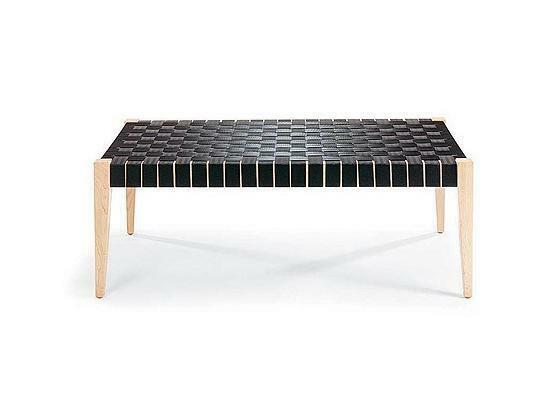 Unique furniture items, chairs, ottomans, coffee tables, and benches made with recycled belts look amazing. 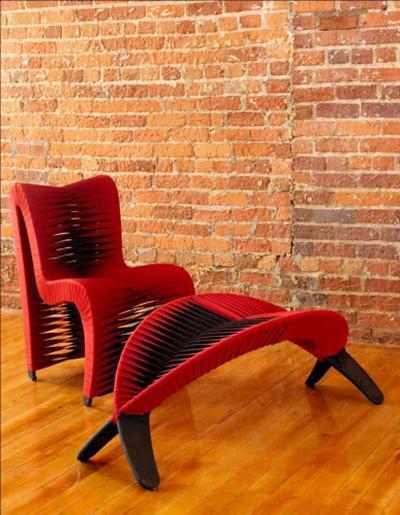 You see changes in modern furniture which is influenced by Green ideas. 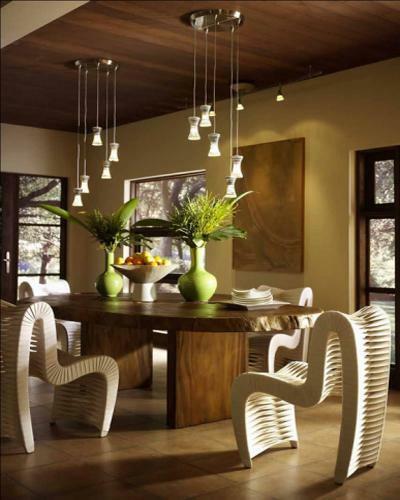 It is time to create something unique and eco-friendly to spice up your interior design or outdoor living spaces. Handmade furniture and recycling are the answer to the problem of broken or old furnishings, especially if you do not have extra money to buy new furniture. 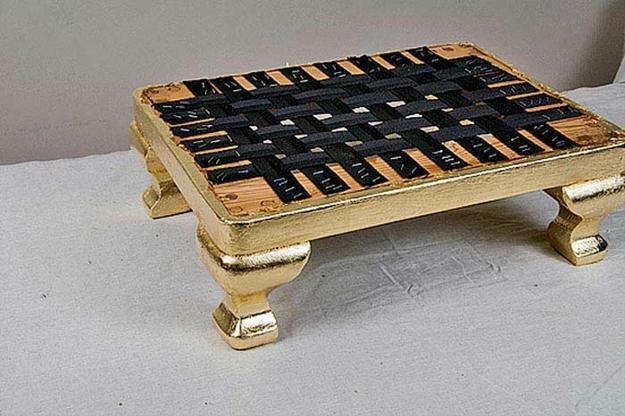 Recycling is a fun way of making an old piece of furniture look stylish once again. You do not have to get rid of wooden and metal frames. 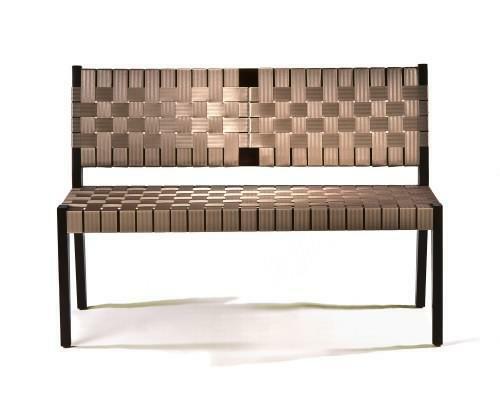 You can add new seats and frames created with belts, nylon webbing or waistband fabric straps. You can come up with original ideas to make unique furniture pieces look distinctive and stylish. 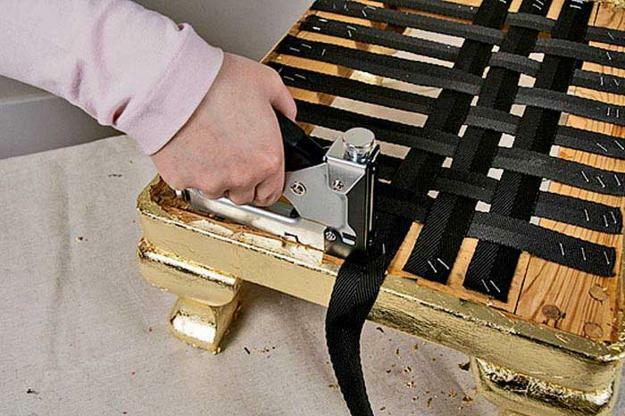 Straps can repair frames for chairs, ottomans, and coffee tables. 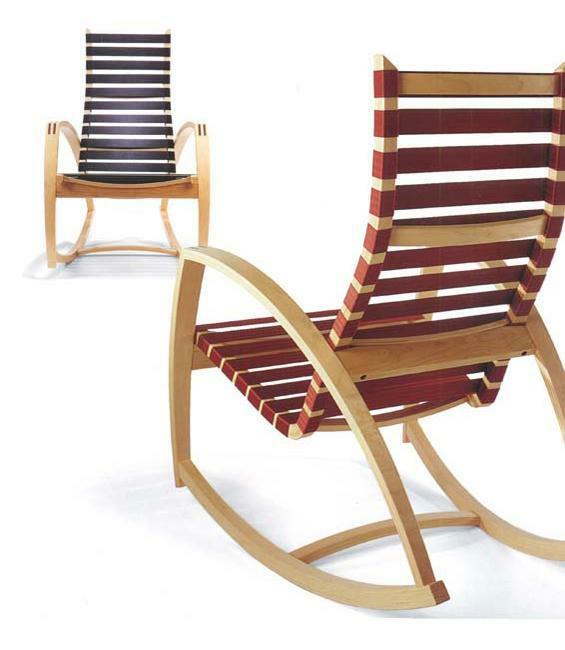 Seat belts are fantastic for accentuating handmade furniture design and making a statement. Leather belts, polyester seat belts, nylon webbing, and waistband fabrics are durable and versatile materials, perfect for original DIY projects. These materials look great with metal and wood. 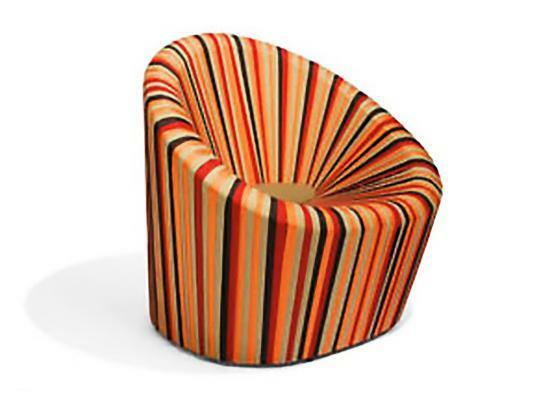 Colorful accents and bright straps can jazz up new furniture items. Synthetic fabrics come in various designs, colors, and textures. 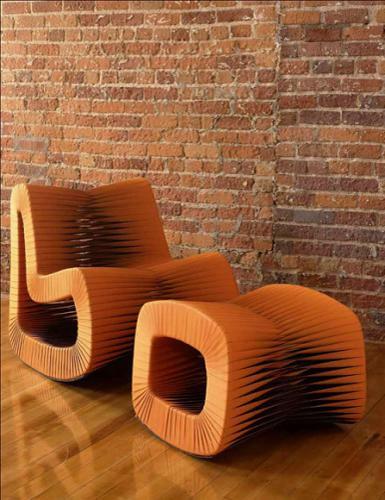 You can use them to create chairs, ottomans, coffee tables, benches, and side tables. Straps spice up ordinary wood or metal frames. You can use different fabrics or belts in various colors. 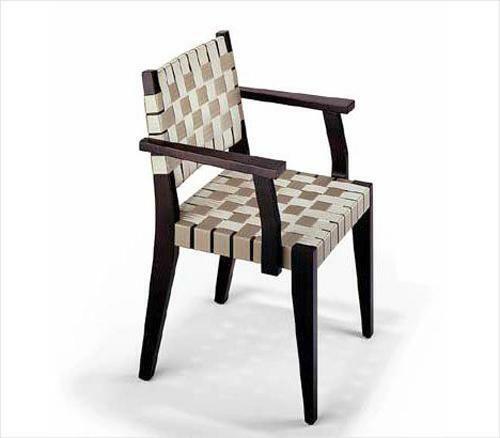 All design ideas that utilize seat belts and synthetic straps add an unusual look to unique furniture. Mixing colorful belts and straps in neutral colors, you can create bright patterns and give character to your creative designs. The surprising look and unusual material turn ordinary home furnishings into artistic creations that reflect your style, support Green ideas, and help protect the planet. Belts are handy for repairing furniture. They can resecure fixed frames and make a new support for a seat base. Belts can work as nylon webbing and save you money on small DIY projects. You can make loops for hanging items or use seat belts for decoration. There are many creative ideas for recycling seat belts.